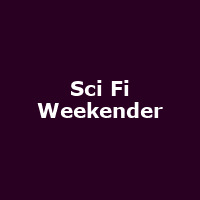 "Now in its fifth cycle, The Sci-fi Weekender continues to promise the ultimate Sci-Fi experience. Quite simply it's a festival of fun and activities for people who love science fiction and fantasy. SFW5 will be packed with activities for fans: big-name guests, interviews, Q&A sessions, movie screenings, comic workshops, video gaming, music, book readings and plenty more. It's all about bringing like-minded people together for a weekend structured around a core 5 pillars.... the entertaining Imaginarium, the sweeping Masquerade Ball, the Multiple zone culture, featuring, Gaming, Comic, Author, Screening as well as the fiendish Sci Fi London quiz nights."